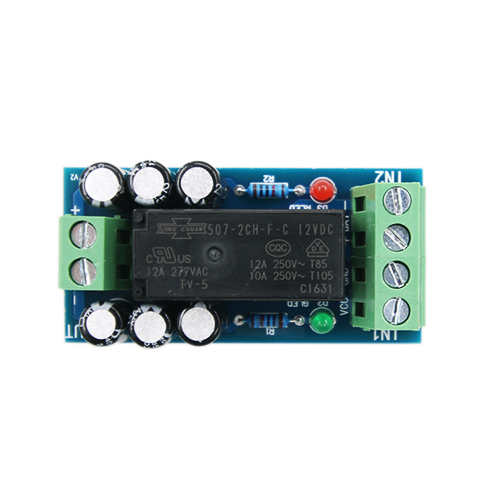 This module is for storage battery emergency switching. 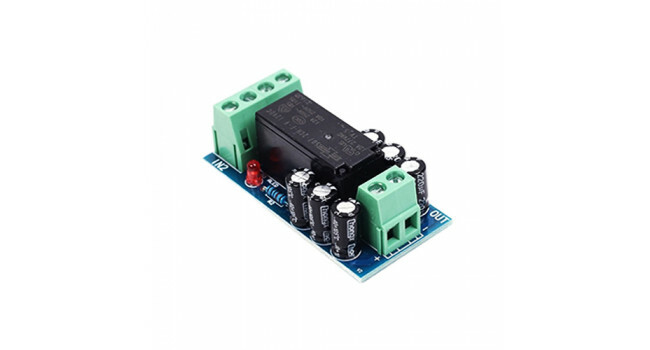 It adopts the high quality industrial relay and the effective control current can reach 12A. 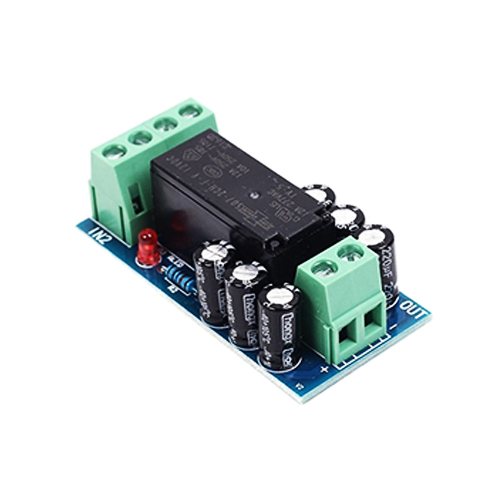 In control of 12V, power can reach 150W. It is widely used in incubators, computers, networks and so on. 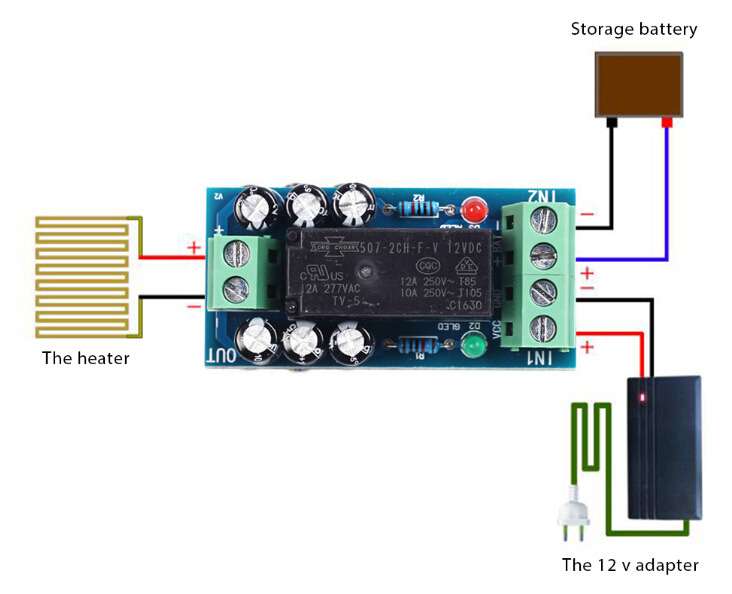 Connect the 12V supply as shown in the diagram. 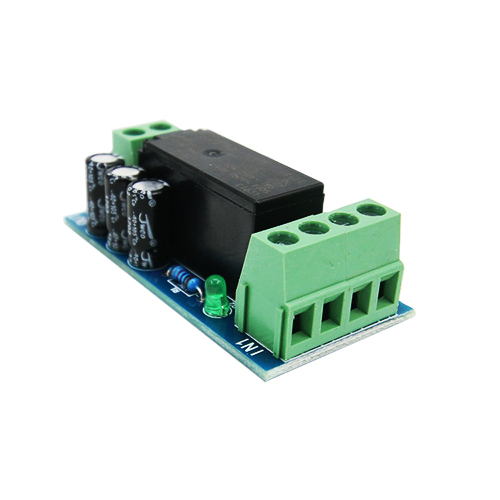 When the unit has a 12V power supply, the unit automatically prioritses the connection (green LED). 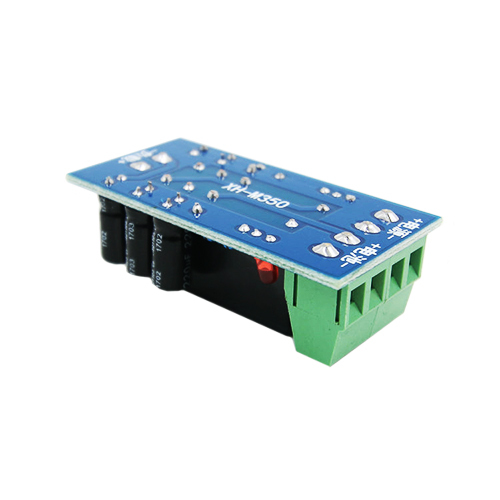 When there is no longer a 12V power supply, the unit will automatically switch over to storage battery (bright LED). RGB Stick 8 x WS2812 RGB LED Make your own little LED strip arrangement with this stick of individually adressable LEDs. 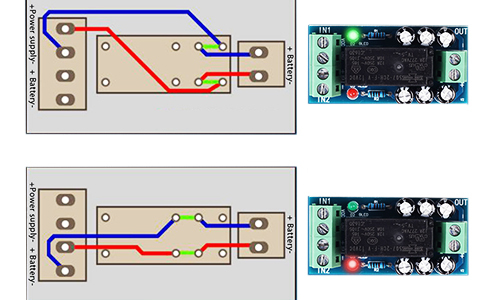 We crammed 8 of the tiny 5050 (5mm x 5mm) smart RGB LEDs onto a PCB with mou..